Jamie already contributed to several charities. Feel free to follow his example of kindness; Click below to make a donation to those charities. "As a little boy I was fascinated with Schwarzenegger and Bruce Willis. They were my two favourite actors. I imagined myself in ‘Die Hard’ and ‘Terminator'"
jamie-dornan.org is a fansite created by fans of this actor. I do have contacts with Jamie Dornan or his Managements but only professional and not personal. Thanks for respecting our work and crediting us if you use information taken from our site. The Copyright of Images is subject to the respective photographers. Thanks to 50ShadesWorld for her constant contribution. Your first and best source on the Irish actor and former model since 2011. Jamie is known as a model with his major campaigns for several brands such as Dior, Hugo Boss and Calvin Klein. As for his acting career, it took off thanks to his role in the TV show Once Upon a Time and his unforgettable role as a serial killer in The Fall. In 2015, his popularity becomes worldwide with his biggest role so far, Christian Grey, in the movie Fifty Shades of Grey with Dakota Johnson. 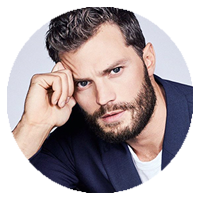 In 2016, Jamie was the main actor in three other movies: The 9th Life of Louis Drax, Jadotville and Anthropoid. His upcoming projects are the movie Untogether and a new adaptation of Robin Hood. You will find all his news on the fansite and a gallery as complete as possible. Jamie and the model Birgit Kos are the faces of the new campaign for the fragrance The Scent by Hugo Boss. The new fragrance line named The Scent Private Accord (for Him / for Her) will be out this summer. 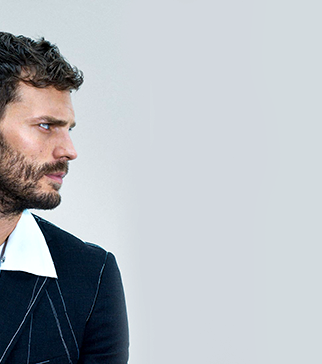 Sophisticated, self-assured and confident—those were the qualities that German luxury fashion house Hugo Boss saw in Jamie Dornan, making him a perfect fit for BOSS THE SCENT. We are still waiting for the commercial (in September), but for now you can watch a promo video below and you can find several pictures from the official photoshoot of the campaign in the gallery.